A new paper by the CORPNET group has been published in the June issue of Business and Politics journal (pp: 298-326). The article, “Hidden power of the Big Three? 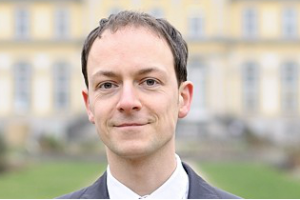 Passive index funds, re-concentration of corporate ownership, and new financial risk”, is written by Jan Fichtner, Eelke Heemskerk and Javier Garcia-Bernardo and can be found here. Since 2008, a massive shift has occurred from active toward passive investment strategies. 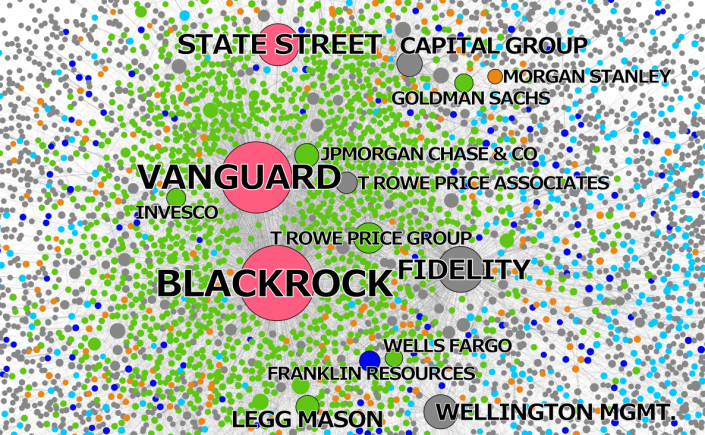 The passive index fund industry is dominated by BlackRock, Vanguard, and State Street, which we call the “Big Three.” We comprehensively map the ownership of the Big Three in the United States and find that together they constitute the largest shareholder in 88 percent of the S&P 500 firms. In contrast to active funds, the Big Three hold relatively illiquid and permanent ownership positions. This has led to opposing views on incentives and possibilities to actively exert shareholder power. Some argue passive investors have little shareholder power because they cannot “exit,” while others point out this gives them stronger incentives to actively influence corporations. Through an analysis of proxy vote records we find that the Big Three do utilize coordinated voting strategies and hence follow a centralized corporate governance strategy. However, they generally vote with management, except at director (re-)elections. Moreover, the Big Three may exert “hidden power” through two channels: First, via private engagements with management of invested companies; and second, because company executives could be prone to internalizing the objectives of the Big Three. We discuss how this development entails new forms of financial risk. CORPNET receives an NWO Visitors Grant to host dr. Michał Zdziarski, Head of Strategic Management and International Business at University of Warsaw. 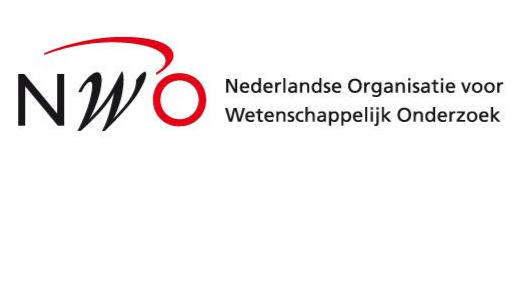 With the NWO Visitors grant researchers can host highly qualified senior researchers from abroad for a maximum of four months. Michał Zdziarski is currently working with the CORPNET group on the global topology of business groups. The research interest in particular is to better understand social distance as driver for firm strategic behavior, such as foreign market entry. The animation below is based on the paper “Hidden Power of the Big Three? Passive Index Funds, Re-Concentration of Corporate Ownership, and New Financial Risk” that J. Fichtner, E.M. Heemskerk and J. Garcia-Bernardo are working on. A new article by the CORPNET group has been published in issue 2 of 2016 of the sociologica journal. The piece, ‘Where is the global corporate elite? A large-scale network study of local and nonlocal interlocking directorates‘, is written by Eelke Heemskerk, Frank Takes, Javier Garcia-Bernardo and Jouke Huijzer and can be found here. Business élites reconfigure their locus of organization over time, from the city level, to the national level, and beyond. We ask what the current level of élite organization is and propose a novel theoretical and empirical approach to answer this question. Building on the universal distinction between local and nonlocal ties we use network analysis and community detection to dissect the global network of interlocking directorates among over five million firms. We find that élite orientation is indeed changing from the national to the transnational plane, but we register a considerable heterogeneity across different regions in the world. In some regions the business communities are organized along national borders, whereas in other areas the locus of organization is at the city level or international level. London dominates the global corporate élite network. Our findings underscore that the study of corporate élites requires an approach that is sensitive to levels of organization that go beyond the confines of nation states. A blog by the CORPNET group can be found on the LSE Business Review website. The piece, ‘Network analysis shows offshore finance as a complex network of ownership ties’, is written by Jan Fichtner and can be found here. The EU made a move in August to force Apple to pay €13 billion in unpaid taxes. The episode has quickly become emblematic of the EU’s fight against corporate tax avoidance, a dispute which intensified in the aftermath of the 2009 financial crisis. As Europeans see it, this is about the need to provide a level playing field between US and EU businesses. If a UK-based retailer pays a lot more taxes than US-based Amazon, it will never be able to compete fairly. The OECD, “the organisation charged by the G8 and more recently the G20 to develop international standards as part of the fight against tax avoidance and evasion” saw its ambitions watered down after intense political pressure. 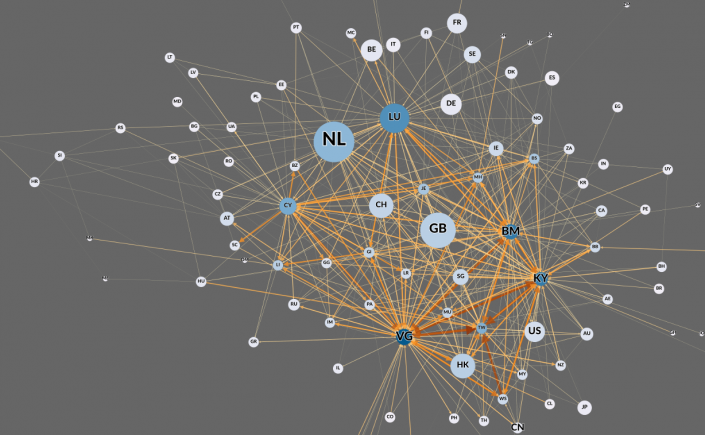 In this article, CORPNET’s network analysis allows us to visualise how multinational corporations structure their ownership ties, a key element in tax avoidance. This blog post discusses existing research on the still rather opaque topic of offshore finance. Subsequently, it is outlined how the CORPNET team is going to shed some new light on this crucial topic by analyzing transnational ownership ties of multinational corporations utilizing complex networks methods and the ‘big data’ provided by the Orbis database. Offshore finance is no longer the small and peripheral phenomenon it once was. During the last four decades, offshore finance has become a crucial element of the contemporary international political economy. 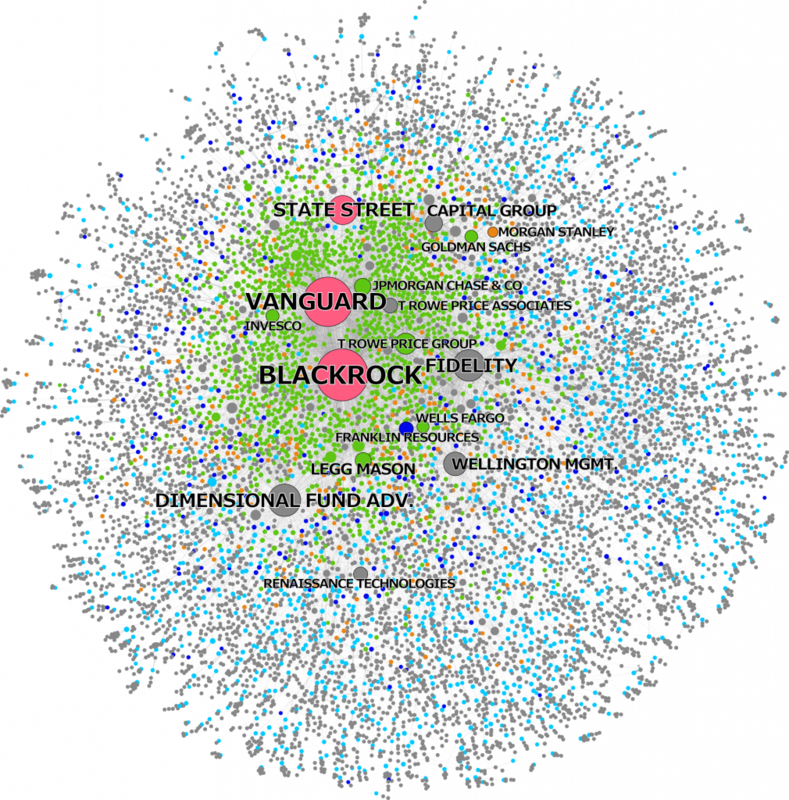 Today, offshore financial centers (which can also be called tax havens or regulatory havens) constitute central nodes within global financial markets. Gabriel Zucman has recently estimated that financial wealth to the tune of almost US$8 trillion is held offshore – a sum that amounts to almost 50% of the GDP of the EU or the US. This causes a global tax revenue loss of approximately US$200 billion. Estimates for offshore wealth by the Tax Justice Network even range between US$21 and US$32 trillion. Arguably, high-net-worth individuals (HNWIs) and big multinational corporations (MNCs) hold the vast majority of this offshore wealth, which leads directly to questions of increasing economic inequality. The impact of offshore finance not only pertains to economic inequality but also to questions of corporate accountability and transparency – both of which are pivotal to the proper functioning of any market economy. For this reason, the Tax Justice Network does not use the term offshore financial centers or tax havens, but instead calls them secrecy jurisdictions, because secrecy and opacity are major reasons why foreign economic actors use these countries and territories. With this secrecy and lack of accountability come big risks. The corporate scandals of Enron, Olympus and Parmalat as well as the near-collapse of the large hedge fund LTCM all involved subsidiaries in tax havens. In addition, these secrecy jurisdictions have functioned as legal domiciles for the creation of complex structured financial products, such as collateralized debt obligations (CDOs) and other asset-backed securities (ABSs). According to Photis Lysandrou and Anastasia Nesvetailova, these opaque financial products have contributed to the development of the global financial crisis, or at least have aggravated it significantly. Despite these significant risks, offshore finance receives too little attention from regulators. Granted, the G20 have taken some (modest) measures after the global financial crisis to increase the regulation of offshore financial centers but Niels Johannesen and Gabriel Zucman have found that these measures have only caused a relocation of assets between offshore centers, but not a general decline of assets booked in these secrecy jurisdictions. But the heat is on. In 2014, the International Consortium of Investigative Journalists (ICIJ) published a report that gained worldwide media attention: the “Luxembourg Leaks.” The ICIJ report revealed that the Grand Duchy of Luxembourg helped over 300 large multinational corporations to lower their global tax bills drastically, Amazon, McDonalds and IKEA for example. These big companies have channeled hundreds of billions of dollars through this tiny jurisdiction and as a result saved billions of dollars in taxes elsewhere. Another example, which has drawn a lot of attention is a tax construction known as the “Double Irish With a Dutch Sandwich” that reduces taxes for large multinationals, such as Apple, by shifting international profits from an Irish subsidiary to the Netherlands then back to Ireland and subsequently elsewhere, e.g. to Caribbean tax havens. In mid-2016, the European Union has ruled that the special tax construction that Ireland has offered Apple constitutes an illegal and unfair subsidy amounting to over US$13 billion, which has to be repaid. Finally, the massive leak of confidential data concerning letterbox companies and trusts known as the “Panama Papers” that included data on over 200,000 offshore entities caused widespread attention by the media and by academia alike. A number of international organizations, such as the IMF, the OECD and others, started to publish lists of countries deemed to be offshore centers. Of course, such lists – even if initially based on relevant criteria – quickly become politicized and therefore often lose their value. One definition of offshore financial centers that is well suited for empirical research is from Ahmed Zoromé: “an OFC is a country or jurisdiction that provides financial services to nonresidents on a scale that is incommensurate with the size and the financing of its domestic economy.” This definition has the advantage that it is exclusively based on data. The Financial Secrecy Index as well the Offshore-Intensity Ratio follow this methodological approach. The Financial Secrecy Index combines a secrecy score with a global scale weight to produce a FSI–Value for each jurisdiction. The Offshore-Intensity Ratio sets the aggregated amount of foreign capital booked in a jurisdiction (external bank deposits, foreign portfolio investment, and foreign direct investment) in relation to the size of its domestic economy. The result is a ratio that expresses the strength with which the particular jurisdiction has acted as a magnet for foreign capital. Figure 1 shows the bilateral financial relations between the largest 34 jurisdictions of cross-border global finance. These transnational financial ties amount to almost US$82 trillion – slightly more than global GDP. You can read the figure as follows: grey are the countries least likely to be an offshore financial center. Yellow are potential OFCs, such as Switzerland and the UK. Finally, the red countries have high Offshore-Intensity Ratios, including Ireland, Luxembourg and the Netherlands. 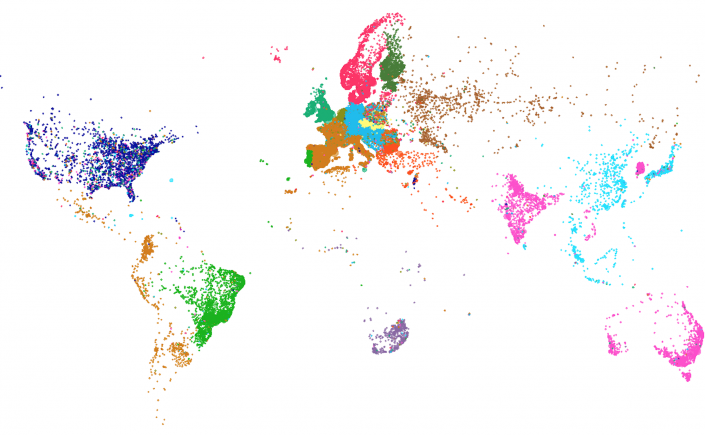 The magnitude of the spheres in the visualization is equivalent to the sum of all their bilateral relations in the field of cross-border global finance. 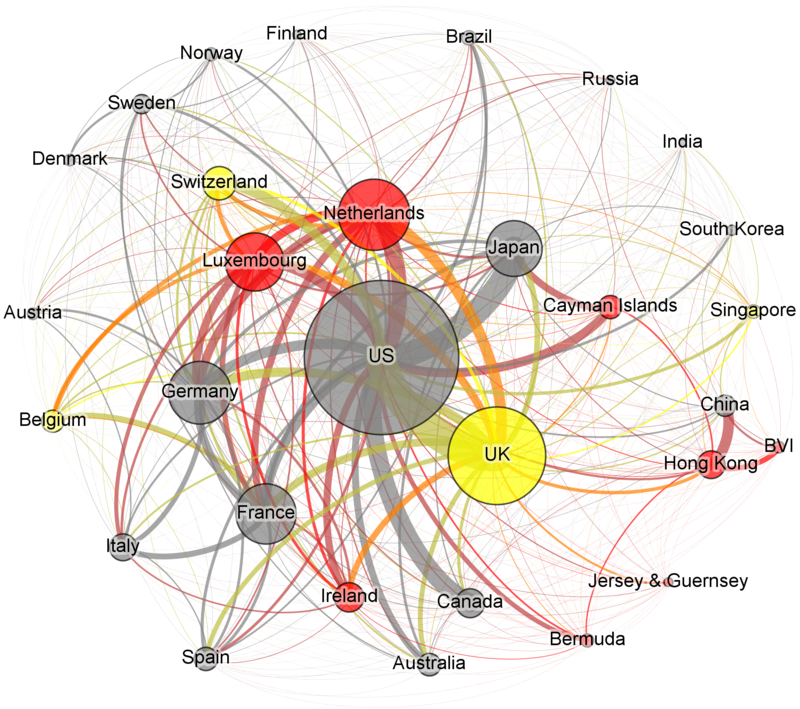 The largest jurisdictions are at the center of the visualization, the smaller ones are shown at the periphery. Figure 1: The Largest Offshore Financial Centers in Cross-border Global Finance in 2012. Source: Jan Fichtner (2015): The Offshore-Intensity Ratio, CITYPERC Working Paper, City University London. Both the Financial Secrecy Index as well as the Offshore-Intensity Ratio are based on aggregated data, i.e. combining all foreign portfolio or direct investment that has been reported to international organizations. In fact, aggregated data are used by the vast majority of existing studies on offshore financial centers. However, it is in the very nature of aggregated data that many interesting and relevant details are conflated. This precludes the application of many innovative research questions and methods. Therefore, a promising approach to the analysis of offshore finance is to use disaggregated, granular data. The CORPNET research group uses the Orbis database by Bureau van Dijk, which contains 200 million firms, 70 million corporate ownership relationships, and 10 million transnational ownership chains. Granular, firm-based data allow us to study new research questions concerning offshore financial centers and how they are used by multinational corporations to minimize (and most likely also evade) taxes and to create secret and opaque transnational corporate ownership structures (see this paper by Alex Cobham and Simon Loretz for innovative research using Orbis data). In the next step, CORPNET is going to focus on what we call “Global Ownership Chains” (GOCs), which are corporate ownership relations (often via subsidiaries) that span across multiple jurisdictions, presumably in order to minimize and evade taxes, and to create secrecy and opacity. Here, we are inspired by and build upon research on “Global Value Chains” and “Global Wealth Chains”. Existing research on corporate ownership chains is scant. The United Nations Conference on Trade and Development (UNCTAD) has published some groundbreaking research on ownership chains in its 2016 World Investment Report, inter alia introducing an “investor nationality mismatch index” (also relying on Orbis data). We are going to complement and expand this emerging literature by identifying the (offshore) jurisdictions that play the most important role in GOCs. Preliminary results indicate that only a small number of jurisdictions dominate GOCs – primarily the Netherlands, but also Luxembourg, the United Kingdom, Bermuda (BM), the Cayman Islands (KY), and the British Virgin Islands (VG) (see Figure 2). Thus, CORPNET is going to advance the research on offshore finance by analyzing it as a complex network of transnational ownership ties. Figure 2: The Network of Transnational Ownership Ties by Value Going Through Chains in 2015. Source: CORPNET analysis by Javier Garcia-Bernardo based on Orbis data. This blog post was written by Jan Fichtner, postdoctoral researcher in the CORPNET group at the University of Amsterdam. Since 2008, a massive shift has occurred from active towards passive investment strategies. This burgeoning passive index fund industry is dominated by BlackRock, Vanguard, and State Street, which we call the ‘Big Three’. In a new working paper CORPNET shows that already in 40 percent of all listed U.S. corporations the Big Three together constitute the largest shareholder — and even in 88 percent of the S&P 500 firms. This re-concentration of ownership is unprecedented and unlike the earlier ascent of actively managed mutual funds, such as Fidelity, is likely here to stay. In contrast to active funds, the Big Three hold illiquid and permanent ownership positions, which give them stronger incentives to actively influence corporations. An analysis of the voting records on shareholder meetings reveals that the Big Three indeed utilize coordinated voting strategies but generally vote with management, except at director (re-)elections. Private engagements with management represent an important channel through which the Big Three exert influence. Moreover, BlackRock, Vanguard, and State Street are arguably exerting ‘hidden power’ because company executives are likely to internalize their objectives. Finally, we find indications that this development entails new forms of financial risk, including anticompetitive effects and investor herding. A new (Dutch) blog by the CORPNET group has been posted on Stuk Rood Vlees. The piece, ‘Brexit en de verdeeldheid van het Britse Old Boys netwerk’, is written by Frank Takes and Eelke Heemskerk and can be found here. In this blog post we look at the United Kingdom and London from a network perspective, investigating the connectedness of British corporations in the global network of corporate control. The aim is to give an alternative and/or complementary “social network analysis”-perspective for the lively discussions on a possible Brexit, here focusing on data related to corporate power and control. Brexit, the possible withdrawal of the United Kingdom from the European Union, is a frequently debated topic. A “yes” as outcome of the June 23 referendum is likely to be of substantial influence on the global economic system. A lot of the debates on Brexit are centered around arguments based on economic impact in terms of trade, manufacturing, import/export, foreign investment, etc. Throughout this blog article, we look at the UK from the perspective of Britain’s corporate elite network, investigating the position of the UK within the global corporate elite network. Firms are not individual market actors, but are typically embedded in dense networks of power and control, for example based on ownership or interlocking directorates. 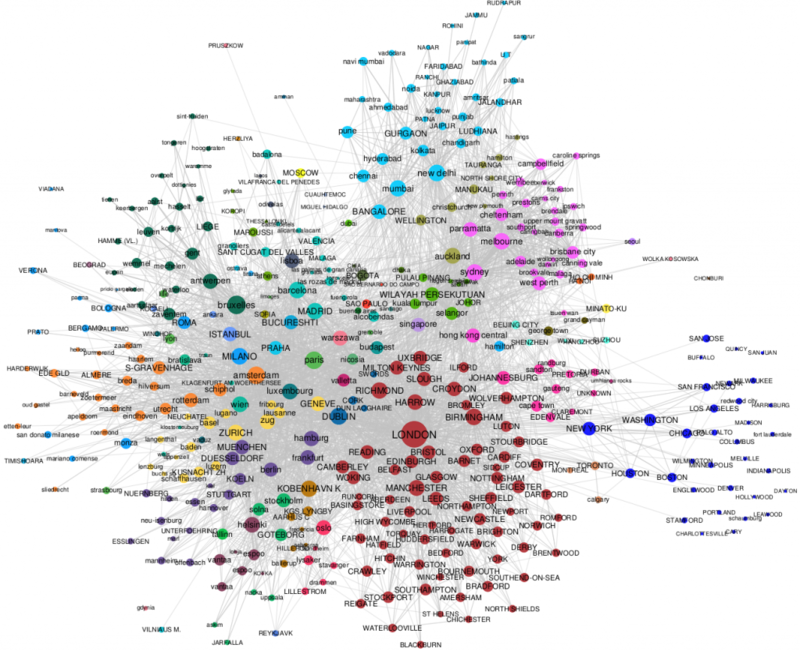 The CORPNET research group at the University of Amsterdam studies these networks as part of a five-year research programme funded by the European Research Council (ERC). The general idea behind the group’s so-called “network science“-approach is that by studying a system of interaction (the global economy) rather than mere sums and averages of the systems’s individuals (economic activity and behavior of corporations/countries), we obtain new insights in the considered system. Early 2016, our research group studied the organization of the global corporate elite from a network perspective. 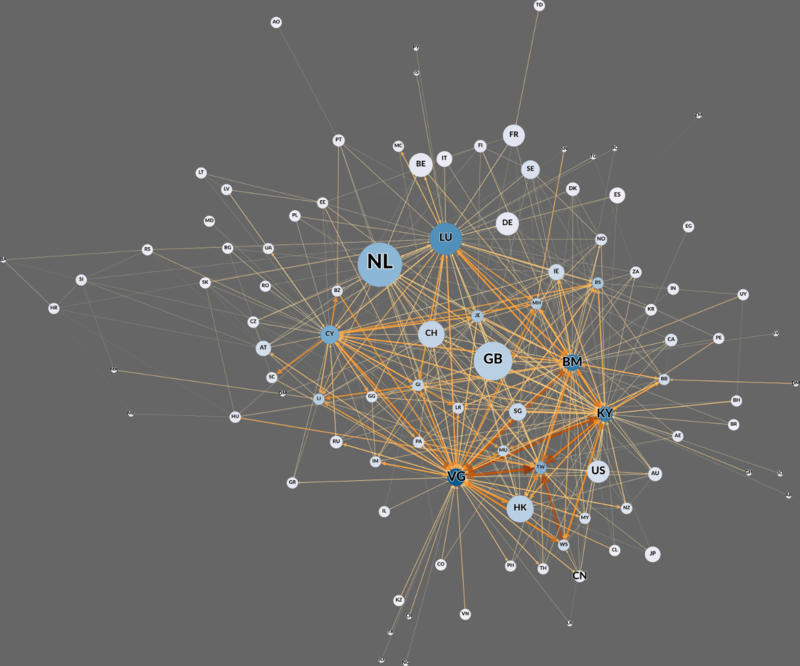 We visualized the relationships between cities across the globe based on whether the firms in these cities were involved in board interlocks: shared senior level directors between firms. To learn more about the substantial body of literature on the causes and consequences of interlocks, see the excellent survey article by Mark Mizruchi. We obtain a tightly connected so-called city network consisting of 24,747 cities (the nodes), connected through 874,810 distinct board interlock ties (the ties). The strict center of this network, consisting of the 409 (1.65%) most well-connected cities across the globe, is shown in Figure 1. In this figure, a node (object) represents a city, the color of an object corresponds to the country, and the size of a node is based on how central this node is with respect to the other nodes, based on the structure of the network. Betweenness centrality is a network metric that indicates how often a node is on a shortest path between other nodes. 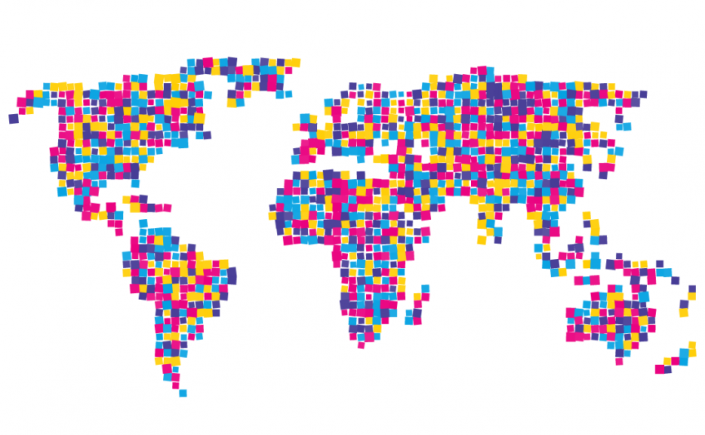 It measures the brokerage position of that node, in our city network corresponding to a city’s contribution to connecting other cities across the globe. Figure 1: The center of the city network based on board interlocks. Node color corresponds to the city’s country, node size is proportional to the city’s betweenness centrality value. It is evident that London has by far the most dominant position in this network. Globally, London plays a crucial role in connecting the global corporate elite through short path lengths. Furthermore, we note that in general there is a large number of British cities (albeit as a result of London’s central position) present in the center of this network. More specifically, even though only 723 (2.9%) of the cities in the global network of 24,747 cities are in the United Kingdom, 69 (16.9%) of the cities in the small center of 409 cities is British. This demonstrates how on average the UK cities are nearly 6 times more dominant in the center of the network than an average country’s cities. The United Kingdom, and in particular London, is indeed at the heart of the world’s corporate elite. London is not only a gatekeeper through which the United Kingdom is connected with the rest of the world, but also connects the European mainland’s corporate elite to for example the United States, the East and the former British Commonwealth countries. It is often argued that in general, The City is in largely favor of staying in the EU (see for example this survey by CSFI). Contrary, Brexit advocates claim that Britain is a well-developed and globally integrated country that can stand on its own within the global economy, without the need of the European Union. But compared to Europe, how divided is the UK itself? Does it indeed have one well-organized and connected corporate structure? To answer the above mentioned question, we will again “consult” the network, and attempt to derive communities from the city network based on board interlocks. We identify groups of nodes (cities) that are more tightly connected with each other, than with the rest of the network. Community detection is a well-known method from the field of network science that allows one to find these densely connected groups of nodes in the network, based only on the structure of the network, so without any prior knowledge rather than the network’s connections. Here we use modularity maximization using the Louvain method, a well-known computationally efficient technique for finding communities that by swapping nodes between communities tries to optimize the modularity value indicating the quality of the division of the network into communities. If we use this algorithm on the aforementioned global city network and focus on Europe, we get the division of cities into communities as indicated by the colors in Figure 2. Figure 2: The European part of the global city network. Colors correspond to communities. Ties are omitted for readability of the figure. From Figure 2, we can observe that a number of communities spanning multiple countries are found by the algorithm: there is a community of Germany, Switzerland, Austria, Hungary and former Yugoslavian countries, a community of cities in the “Benelux” countries (Belgium, Netherlands, Luxembourg), a community of Southern-European countries including France, Spain and Italy (but not Portugal, which is more strongly connected to Brazil and Latin America, not visualized here). The Czech Republic and Slovakia form a tight community, and so do the Scandinavian countries, except for Finland which is apparently more tightly connected in a community with Estonia. Poland’s cities do not clearly belong to any particular community, and are mixed between the communities around Russia, Germany and Scandinavia. 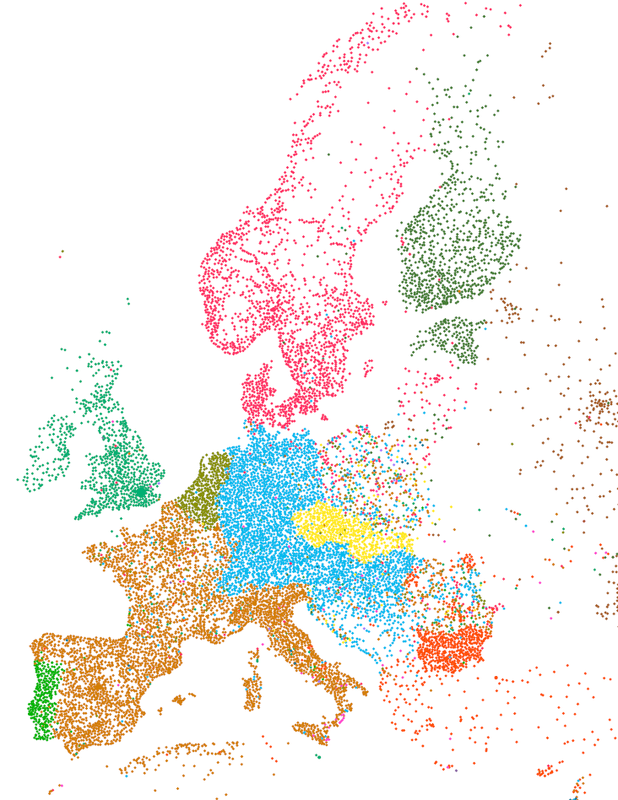 Interesting and worthy to note here is that no information on the geography of Europe was put into the community detection algorithm. The results are purely derived from the structure of the corporate elite through board interlocks. Turning to the UK; in Figure 2 we see how British cities appear to be in a community together with Ireland, seemingly posing as a whole. It should be noted that a fair share of the board interlocks also occurs between firms within cities, resulting in so-called self-loops in the networks. In particular, London has an extraordinary strong self-loop, as the City houses a large number of firms that interlock with each other, creating a tie that is stronger than any other tie. One way of looking at these self-loops is to say that they somehow indicate the internal power structure of a city. Interestingly, if in the global city network we search for communities in the network with these self-loops, the British business community falls apart into a a total of 19 separate communities, as shown in Figure 3, separating London from the rest of the UK. The resulting communities have a clear regional character, and are no longer as well-connected as they were with London’s integrative power. This suggests that there may be substantial consequences for the international connectedness of certain regions of the UK, should the Brexit somehow lead to a particular separation of these regions from The City. Figure 3: The British part of the global city network. Colors correspond to communities found without the integrative power of London. Based on these results, one could say that internally, the UK is perhaps as divided as the European Union itself, i.e., it may not want to overestimate its unity. At least the corporate elite in the UK itself is strongly regionally oriented, albeit overshadowed by the integrative power of The City. Of course it remains to be seen what the precise consequences are of a Brexit on a corporate system such as the one considered in this blog post. Nevertheless, given the key position of London and the UK in the global network, it is likely that local changes in the corporate structure of firms in the UK can significantly influence both the UK as well as the global system as a whole, given the dominant position of, in particular, the city of London. Interested in learning more about the CORPNET group? Do feel free to contact us! 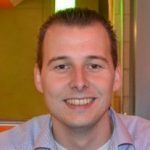 This blog post was written by Frank Takes, postdoctoral researcher in the CORPNET group at the University of Amsterdam. Continue reading this post in Harvard Business Review: How Corporate Boards Connect, in Charts.